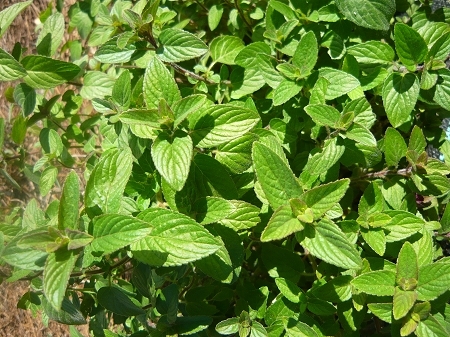 Wintergreen Mint (mentha wintergreen) Richter's exclusive hybrid mint from the Westerfield collection. Rounded soft green leaves have a mild wintergreen scent and flavor. Nice culinary and tea variety. Hard to find variety. Perennial zones 6-11. Live plant in 3 inch container. Not exactly like wintergreen (which is a completely different herb), but it certainly has a unique aroma that reminds me of wintergreen. It is probably better fresh than dried for this effect, but I haven't tested it dried by itself yet. Either way I'm happy to have this unique variety!